25-year-old Cathrina Cahill made no application for bail in court this morning. A 25-YEAR-OLD Irish woman is set to appear in court charged with the murder of her fiancé, 29-year-old Irishman David Walsh, this Wednesday. Cathrina Cahill was due to appear before a court in Parramatta, around 23km west of Sydney, at 9.30am local time this morning. The Sydney Morning Herald reports that Cahill did not appear at the bail court this morning, and chose not to appear via video link. She will remain in custody and is now due to appear before Burwood local court during the week. David Walsh, who was a father of three young girls, was stabbed to death at his home in the early hours of Saturday morning. He was pronounced dead at the scene after emergency services were called to a house on Watson Road in Padstow, south-west of Sydney. The local community in Walsh’s hometown of Enniscorthy, Co Wexford, was left in a state of shock yesterday following the news. Local councillor Johnny Mythen told TheJournal.ie that the news has left the community reeling. “We’re all just in a state of total shock,” Mythen said. “It’s sent ripples through the whole area. He was a decent, hard-working young chap from a decent, hard working family, who’ve been like that all of their lives. 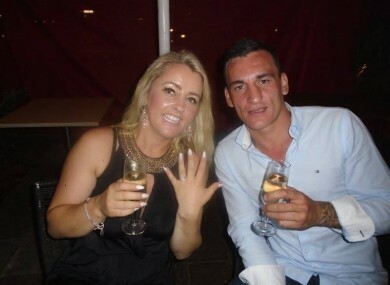 Email “Irish woman to appear in court on Wednesday charged with the murder of fiancé in Sydney”. Feedback on “Irish woman to appear in court on Wednesday charged with the murder of fiancé in Sydney”.